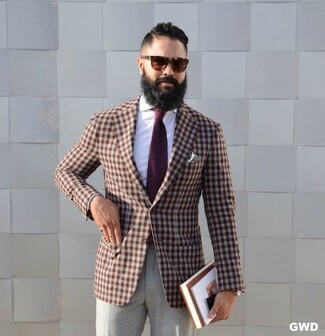 Look the best you possibly can in a brown gingham blazer and BOSS genesis flat front solid stretch wool cashmere trousers. For a nothing less than incredibly stylish look, rock a navy denim jacket with BOSS genesis flat front solid stretch wool cashmere trousers. 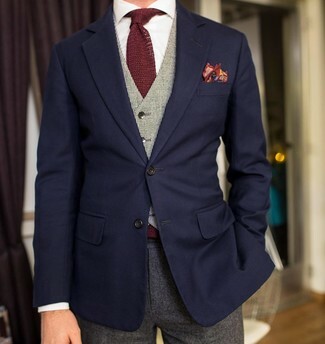 Go for a dark brown wool blazer and BOSS genesis flat front solid stretch wool cashmere trousers from Nordstrom for a sharp classy look. Dark brown suede tassel loafers will add a casual vibe to your look. 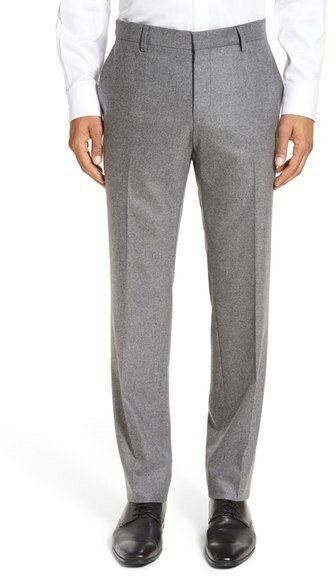 For a nothing less than incredibly stylish look, wear a black pea coat with BOSS genesis flat front solid stretch wool cashmere trousers from Nordstrom. Add a more relaxed vibe to your ensemble with white plimsolls. 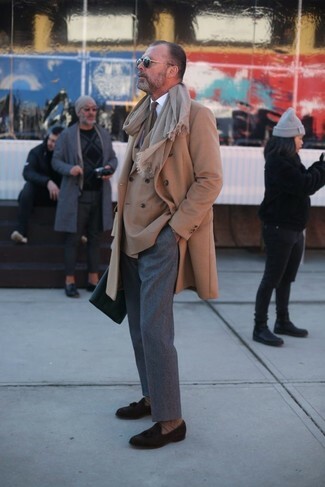 Wear a camel overcoat and grey wool dress pants for a classic and refined silhouette. 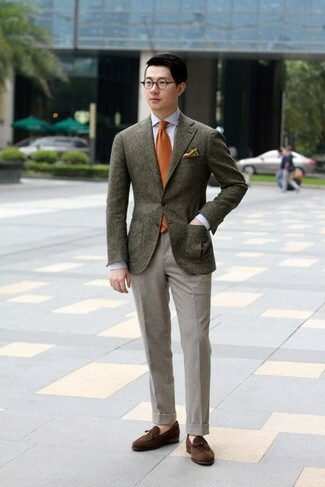 For something more on the daring side to complement this ensemble, grab a pair of dark brown suede tassel loafers. 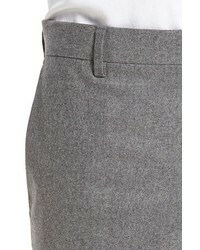 Make a dark brown plaid wool blazer and grey wool dress pants your outfit choice for a sharp classy look. For a more relaxed take, grab a pair of black leather loafers. 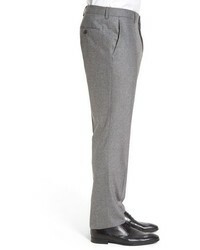 Try teaming a navy blazer with grey wool dress pants like a true gent. 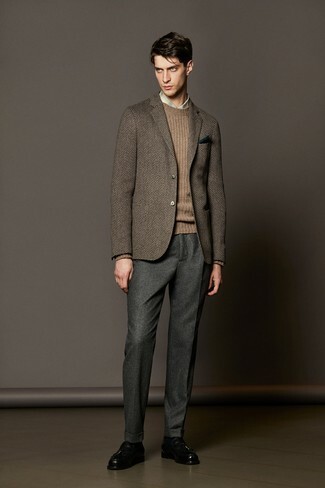 Wear a brown herringbone wool blazer and BOSS genesis flat front solid stretch wool cashmere trousers from Nordstrom for a sharp classy look. Throw in a pair of black leather tassel loafers to have some fun with things. For a smart casual outfit, go for an olive parka and BOSS genesis flat front solid stretch wool cashmere trousers — these two items go really smart together. 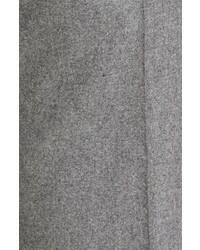 Go for a pair of black suede desert boots to make the getup more current.